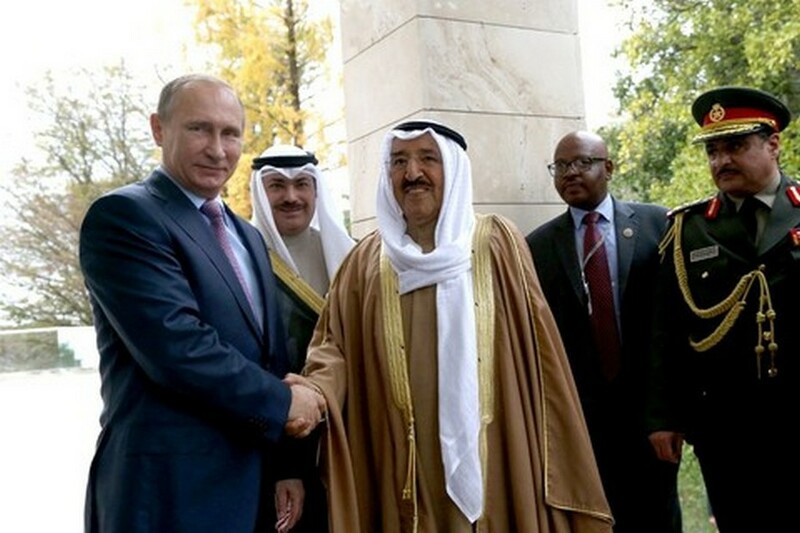 The Emir of the State of Kuwait Sabah Al-Ahmad Al-Jaber Al-Sabah is to visit Russia on November at the invitation of Vladimir Putin. Historical meeting of leaders of two countries was in Sochi. The Russian President will have talks with the Emir to discuss key aspects of Russian-Kuwaiti cooperation, focusing on ways of enhancing bilateral cooperation in trade and the economy. The two leaders will also exchange views on pressing international matters, primarily the situation in the Middle East and Northern Africa. Experts are sure that this high meeting laid the foundation to a new stage of development of friendly and business relations between the Russian Federation and the State of Kuwait. Photo report from press service of the President of the Russian Federation.